People reacted on David Beckham's Picture! People React on David Beckham's Kiss Picture! 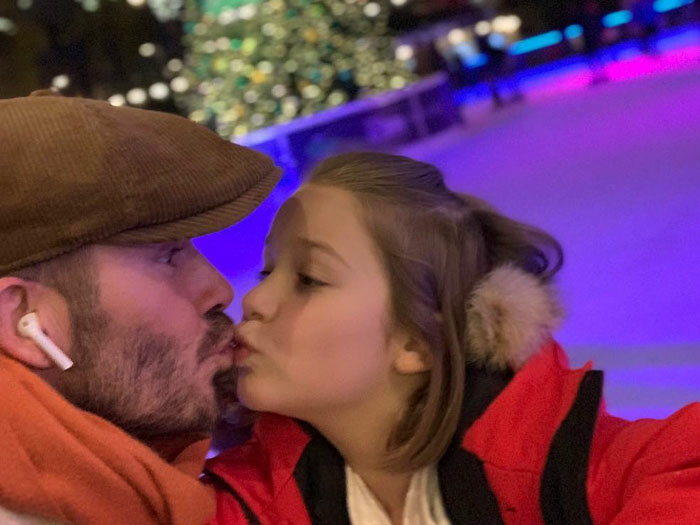 A few days back David Beckham posted a picture of him and his daughter in a skating rink. Although the Beckham family is often believed to be classy by the public but this time the football star received criticism. 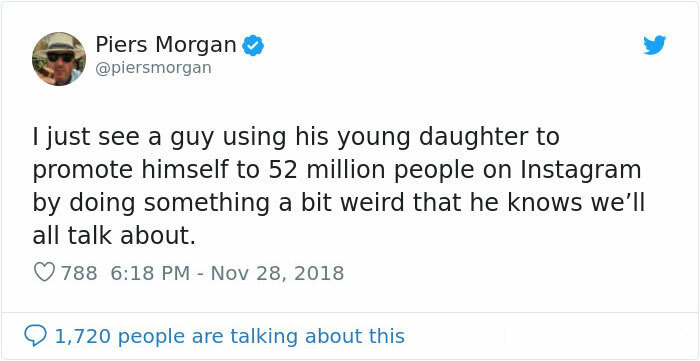 In the picture he shared, he was kissing his daughter on lips which did not go well with few especially, after Piers Morgan blasted Beckham on national television. However, there were some people who protected the father and questioned the outraged public, and accusing them of sexualizing the situation unnecessarily. Hi @piersmorgan, my daughter has a message re #DavidBeckham kissing his daughter and your daft view on it, she loves her Dad, and he loves her too. Nothing wrong or sinister about that. #DavidBeckham Your a great Dad . Real men show love & affection to their children. Anyone who looks at this as weird . Must be weird themselves or jealous because they ain’t got kids or never got any love from there Parents. Your a good role model to a lot of men.